each episode focuses on a single object - from a Stone Age tool to a solar-powered lamp - and explains its significance in human history. Music, interviews with specialists and quotations from written texts enrich the listener’s experience. 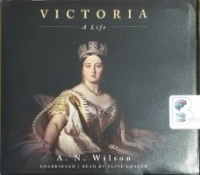 On each CD, objects from a similar period of history are grouped together to explore a common theme and make connections across the world. Seen in this way, history is a kaleidoscope: shifting, interlinked, constantly surprising and shaping our world in ways that most of us have never imagined. 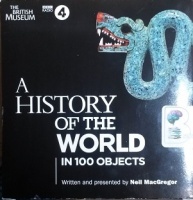 This box set also includes an illustrated booklet with additional background information and photographs, and each CD includes PDF images of the featured objects. The Acceptable copy of this title has been downgraded due to a damaged disk 20, which has been replaced with an audio transferred copy of this disk.